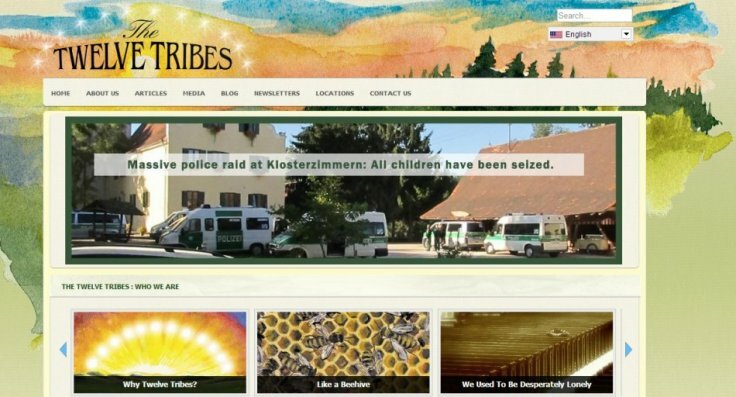 The French chapter of The Twelve Tribes Christian fundamentalist sect was closed down this week after members were accused of abusing children in a climate of violent and racistextremism. The group’s Pyrenean chateau in the village of Sus, near Pau was raided by police who arrested 10 adults and placed four children in foster care after doctors found bruises on their bodies. The children were beaten from the age of two by adults for even the slightest infraction or hint of defiance, alleges to Maitre Jean-Francois Blanco, a lawyer representing a former member whose lawsuit against the community prompted an investigation that led to this week’s arrest. They were forbidden from crying or tensing their muscles while they were beaten on the buttocks, the palms or the soles of the feet. “I think this sect should be closed. The children are in danger,” said the lawyer. The former member of the French branch of The Twelve Tribes who left a few years ago described how life in the community was torturous for children, the Times reported. Twelve Tribes was founded in the US in 1972 by Gene and Martha Spriggs, protestant fundamentalists who wanted to “restore the spiritual 12 tribes of Israel”. It has an estimated 3,000 members across the globe who live in isolated communities. There are branches in the UK, Germany, France, Spain, Australia, Argentina, Canada and the Czech Republic. In 2013, the German wing of the sect made headlines after 40 children were taken into foster care after some members were filmed beating children in a cellar. The Twelve Tribes has faced accusations of racism and the former member said that followers were taught that the black race was inferior, according to the Times.